July 12, 2017 - Humpback whales have been observed using their flippers in a previously unknown way—flapping them like a bird. Biologists filmed this first-ever video off the coast of South Africa. 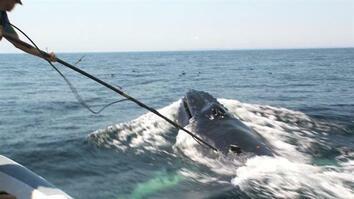 Previously it was thought that the whales used these flippers to steer in the water, not propel themselves. 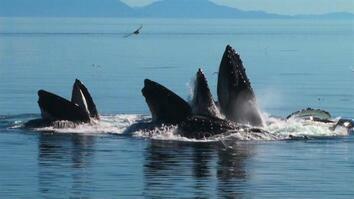 Two whales were recorded flapping to lunge forward while feeding. It's not clear how common this behavior is, or wether the flippers were the sole means of propulsion. 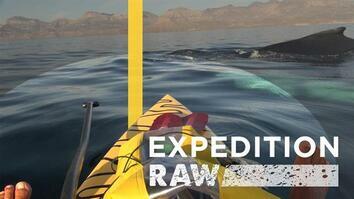 Click here to read Rare Video Captures Never-Before-Seen Whale Behavior.